Wimbledon Choral Society (WCS) treats all personal information supplied to or gathered by it as strictly confidential and ensures that it is kept safe and used for specific purposes only within WCS’ operation. 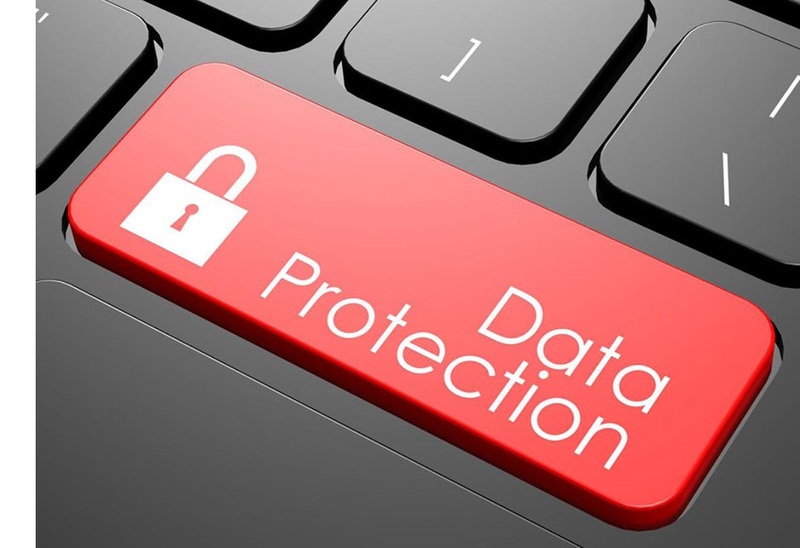 The introduction of the General Data Protection Regulations (GDPR) and the associated Data Protection Act that became UK law in May 2018 require WCS to be specific about the personal data to which it has access, for what purposes that data is used and your consent to that use. If WCS holds any personal data that relates to an individual then that individual has the following rights over that data. WCS will ensure its data processes comply with these rights and will make all reasonable efforts to fulfil requests from an individual in relation to these rights. A.1 The principal purpose of the website is to provide information about the choir and its events to members of the choir and to other visitors of the website. It uses neither browser cookies that can be stored on your computer or mobile device nor any analytical software to identify the unique IP address of your device. Also, it uses no browser forms that require you to enter any personal information. A.2 The WCS website does make widespread use of links to other third party external websites by use of the standard browser HTTP functionality – the same way by which you connected to this website. These links are activated by clicking either on an image or on some text that has a HTTP assignment to another page on the WCS website or an external website. This text is shown typically in a different colour to the other text around it – for example, like this. No personal or identifying data is passed on to any external website. B.1 The ‘Send an email’ option on the WCS website’s Contact Us page simply initiates the existing email software on your device to open a new window for the purpose of sending an email. The WCS website has access to neither your name nor your email address nor the email contents as part of this function; only the specific individual(s) to whom you are sending the email will have knowledge of these items on receipt of your email and will use them solely for the purpose of corresponding directly with you as with all other email correspondence that you use habitually. i You are requested to supply your name, home postal address, contact telephone/mobile number, email address and your physical height – this latter one to help with concert seating planning. Some or all of these items are used by a short list of identified nominated persons within the choir’s organisation for processes and tasks relating to the choir’s operation and managing your membership. Your consent is requested explicitly on the application form for these data items to be used for those tasks once you are accepted as a member of the choir. ii The information remains in handwritten paper form until your voice audition with the Music Director. Should your application to join the choir be declined then the paper application form is destroyed, no information supplied on it is retained for any purpose and your consent for its use further by WCS is withdrawn automatically. iii On successful application, your personal details are stored on password-protected home computers, with the exception of your email address – see J: Email Services. iv Your name may be shared with other organisations with whom WCS is engaged for a specific event for planning and operational reasons (e.g. seating plan, concert programmes, security lists). 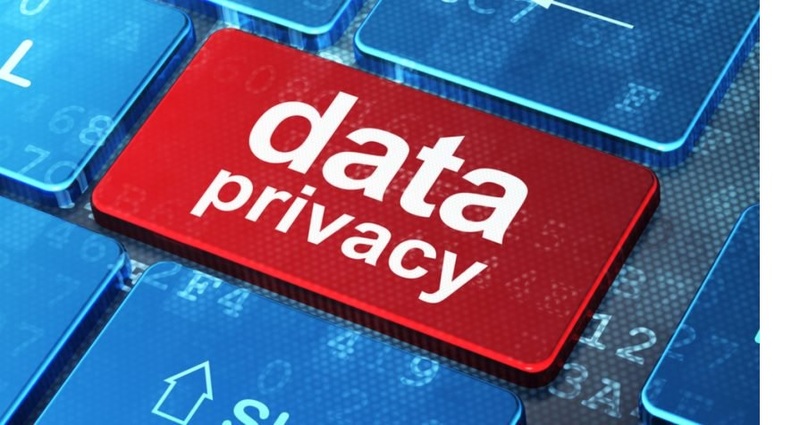 v With the exception of C.2.iv, no personal data item is shared with any other external third party unless WCS is required to do so by law or your consent is obtained first. i If you are aged under 26 years old then you are invited to supply your date of birth as you will benefit from a reduced subscription rate whilst you remain under 26. This information is held by the Treasurer only until such time as you reach your 26th birthday and then the item is deleted from the record held by the Treasurer. ii You are also offered the opportunity on the Membership Application form to advise the Treasurer if you are unemployed currently or in full-time education as these, too, give access to the same reduced rates. This information is held by the Treasurer only until such time as you advise of any change in your circumstances to either your Voice Rep or the Treasurer, after which the previous status is deleted from your subscription records. i There are a small number of additional but optional data items that are requested on the form to help the choir’s management team to understand how you found out about the choir and what other skills or knowledge you may have that could benefit the choir in its operation. These are typically not of a nature that could identify you specifically. C.5 If you inform WCS that you have left the choir definitively then your personal details held for membership purposes will be deleted within one calendar month of notification and your consent for its use further by WCS is withdrawn automatically. See also F: Member Subscriptions for exceptions to this. If you are absent from WCS for a period of time and do not inform the Membership Secretary or your Voice Rep of your intention to return or leave, then your details are retained until early in the next season (October) and then deleted. D.1 There are occasions when WCS is offered participation in other events or opportunities, outside of the Society’s core promoted season of concerts. In these cases, members are requested to sign-up separately to take part in these events, the data requirements on the sign-up form varying from event to event. This may involve supplying that data to or sharing it with other third parties depending on the event. Where that involves data items not covered under C: Membership then your consent for use of those additional items for that specific event will be requested. E.1 For each WCS-promoted event in which members may be participating, it is usually the case that you will be offered the choice of buying or hiring the required choral scores by the choir’s Librarian. On each occasion you are requested to supply your name and to confirm your contact telephone number and/or email address via an online form (Google Docs, for example) or on paper expressing which scores you wish to acquire and how. These details are used for the purposes of ensuring you receive your scores and, in the case of hiring, you return the copies after the event. F.1 The role of the Treasurer includes maintaining a record of the subscription rates applicable to each active member and the status of payments due accordingly. The value of the subscription due is calculated (i) at the start of your membership for the remaining part of the season and (ii) at the start of every subsequent season throughout the length of your membership and may be affected by any additional personal data supplied to the Treasurer (see Subscription Classification under C: Membership above). F.2 If your personal details have been deleted for membership purposes then similarly they will be deleted for subscription purposes. However financial records of your subscriptions received, donations made and any payments to you will be retained for the duration required under financial regulations defined by the Charities Act but making reference to your name only. See also H: Gift Aid below. G.1 WCS operates a Friends of the Choir scheme where members of the public or corporate entities can express their support of the choir on a more regular basis through financial donations. i You are requested to supply your name, home postal address, contact telephone/mobile number and email address on application to become a Friend. The purpose of requesting these personal data items is so that the Friends Secretary is able to communicate with the Friend about the scheme and his/her participation in it and also to keep him/her informed of the activities, concerts and other events in which the choir is involved. Whereas the principal and preferred means of communication is by email, alternative contact information is requested to ensure the Friend does not miss out on the information and benefits available. Some or all of these data items are used by a short list of identified nominated persons within the choir’s organisation for processes and tasks relating to the Friends scheme, in particular relating to the correct processing of donations. Your consent is requested explicitly on the Friends of the Choir application form for these data items to be used for those tasks. ii Your name may be shared with other music organisations with whom WCS is engaged for a specific event for limited specific purposes, e.g. concert programme listings, if you have consented to this. iii With the exception of G.2.ii, no personal data item is shared with any other external third party unless WCS is required to do so by law. If you advise the Friends Secretary that you no longer wish to be a Friend of the Choir then the personal data held about you for the scheme will be deleted within one calendar month of notification and your consent for its use further by WCS is withdrawn automatically. i WCS uses your personal data to inform you only about the activities, concerts and other events in which the choir is involved. It is not used to market other non-WCS events. H.1 All members, supporters and donors are encouraged to subscribe to the UK’s Gift Aid scheme where registered charities like WCS can reclaim the tax on subscriptions and donations made by UK taxpayers. There is no additional cost to the choir member or donor to do this. For each recorded member/donor who has signed up to the scheme, HM Revenue & Customs requires WCS to supply that person’s name and home address for each annual claim made through the Gift Aid scheme. Your consent for these data items to be retained and used by WCS for this purpose is requested explicitly on the Gift Aid enrolment form. This form is retained throughout the period that you are participating in the scheme with WCS and destroyed after the final claim has been received from HMRC following your notification to WCS of wishing to withdraw your participation. I.2 Purchasers will be offered the opportunity to be kept informed of future WCS activities by means of promotional emails. Only those purchasers who have consented to this during the ticket acquisition process will be added to the email distribution list. J.1 The personal email addresses of members are not published by WCS in any public forum outside of the choir and are made available only to those other members within WCS that perform certain tasks or roles on behalf of the choir. Email addresses and distribution lists using the WCS domain name (wimbledon-choral.org.uk) are made available when external parties wish to make an initial contact with certain WCS roles. J.2 WCS makes use of one or more third party websites that provide accredited bulk emailing services (for example, MailChimp) for sending information to its members, supporters and other interested parties. WCS does ensure that it uses the services of only those third parties that either store personal data on servers located within the EEA or are participants of and signatories to the EU-US Privacy Shield Framework (www.privacyshield.gov). J.3 The email addresses of all WCS members who are identified as being participating actively in the choir’s events are held within WCS’ selected third party service and specific consent is requested of the member on initial application for the member’s email to be used for the purpose of keeping that member informed of all aspects regarding WCS’ operation as this is WCS’ chosen means of distributing information to all its members. A second consent is also requested of the member to enable the distribution of information relating to other external events or topics that WCS believes may be of interest to the member. This second consent may be withdrawn or instated at any time by the member. i Unless specifically and explicitly consenting to continue receiving promotional material about WCS activities, concerts and events, former members of WCS will not be sent such items via email once their details have been deleted from the membership lists. i Unless specifically and explicitly consenting to continue receiving promotional material about WCS activities, concerts and events, former Friends of the Choir will not be sent such items once their details have been deleted from the Friends scheme lists. i Ticket purchasers who consented to receive WCS promotional material can withdraw that consent at any time, their details being deleted from the distribution list within one calendar month of notification. i Other individuals who no longer wish to receive WCS informational or promotional material can request to have their email details removed the distribution list. This will be actioned within one calendar month of notification.